really nice outfit! perfect for autumn/winter! so lovely! aww i love this! 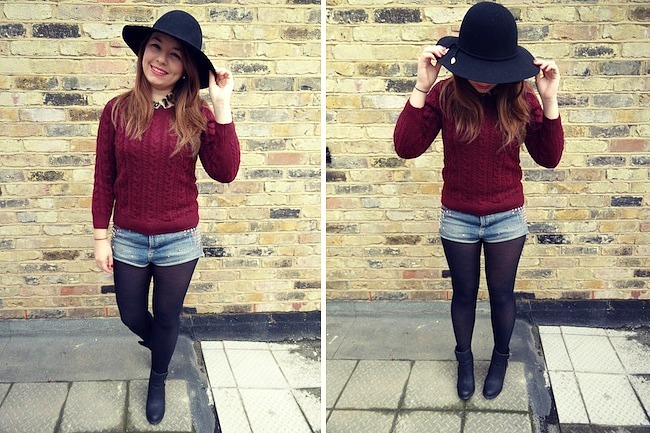 perfect way of incorporating shorts w/ cold weather!! super cute! you look fabulous w/ that hat on hon!! Oh I loveee your shirt!!! I wish there was an F21 nearer me - the closest one is Birmingham. Can never get sick of a nice cosy jumper!! !